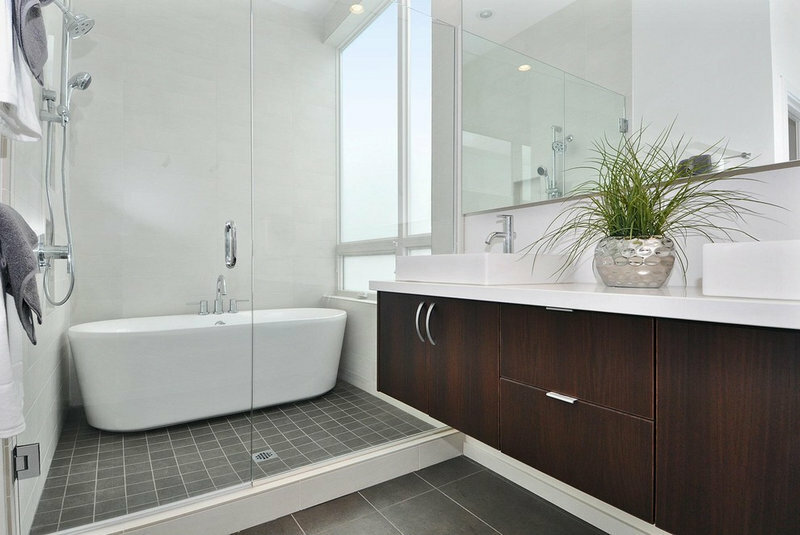 magine walking into your newly built or remodeled home and seeing it exactly as you had imagined it at the start of construction: the windows are all in the right places, the flooring is the right color, and the kitchen cabinets are a perfect fit. This entry was posted in Bedford Hills, Westchester NY and tagged Bedford Hills, Bedford Hills Homes for Sale, Bedford Hills NY Homes, Bedford Hills NY Real Estate for Sale, Bedford Homes for Sale on April 30, 2014 by Robert Paul. How often should real estate agents post to their Facebook business page? Oh boy. People have definite opinions on this subject. The thing is, they are opinions. Opinions based on personal biases. Opinions based on personal preferences. Opinions based on statistical evidence? In at least half of the cases, no. I’m seeing “experts” spouting advice on posting frequency from all over the spectrum, including: no more than once a week no more than three days a week daily multiple times a day Frankly, in my opinion (you knew you’d get it from me, right? ), real estate agents should stick to statistical facts, not individual preferences, when it comes to posting frequency. And honestly, real estate agents think they overcontact people when, in fact, they grossly undercontact people. The thing is, when it comes to Facebook posting frequency, there are multiple elements involved. 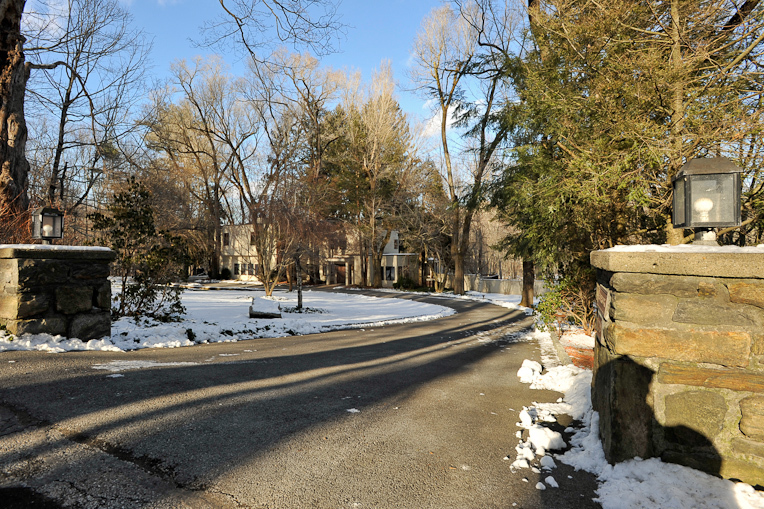 This entry was posted in Bedford Hills, Westchester NY and tagged Bedford Hills Homes, Bedford Hills Luxury Homes, Bedford Hills NY Homes, Bedford Hills Real Estate, Bedford Homes for Sale, Westchester Luxury Real Estate on November 20, 2013 by Robert Paul. Home prices increased by 10.1 percent in the second quarter of 2013 compared to a year ago and prices nationwide are now 16 percent above the trough, reached in the fourth quarter of 2011, but still remain 24 percent below the peak, reached in the first quarter of 2006. Based on CoreLogic Case-Shiller data forecast through June 30, 2014, home price appreciation will slow to an average of 5.4 percent across all U.S. markets. CoreLogic Case-Shiller projects that price appreciation will decelerate through the second half of 2013 and into the beginning of 2014. Purchases by first-time and trade-up buyers are increasing, though tight mortgage lending conditions and slow job-market gains are constraining demand for owner-occupied housing. Demand from investors is weakening as well, as fewer distressed properties are listed for sale and rising home prices cut into potential rental profits. At the same time, the overall supply of homes for sale is still rising in many metro areas as current homeowners take advantage of favorable seller’s markets. The downtrend in the number of markets that gain monthly is likely due to both seasonal trends and the state of recovery for these markets. Of the 47 markets that saw declines last month, 40 percent have fully recovered their decline in home prices from the housing bubble, while another 28 percent were found to be unaffected by the boom-bust scenario, illustrating that the weakness is a result of leveling off in home prices. Three weeks ago Homes.com released its Local Market Index for August wich found that prices increased on a month-over-month basis in 253 of the nation’s top 300 markets, compared to 293 in July. In the Homes.com report, of the metro areas that felt the greatest impact from the housing bubble, Sacramento (+26 percent), Las Vegas (+25 percent) and Phoenix (+20 percent) saw the largest increase in home prices during the second quarter of 2013 versus the same period last year. Coastal California markets also exhibited strong price appreciation, including Oakland (+24 percent), San Jose (+22 percent) and Los Angeles (+20 percent), as buyers continue to jump in before increasing prices and mortgage rates substantially reduce affordability. This entry was posted in Bedford, Westchester NY and tagged Bedford Homes for Sale, Bedford NY, Bedford NY Homes, Bedford NY Real Estate for sale on November 5, 2013 by Robert Paul. This entry was posted in Bedford, blog and tagged Bedford Homes for Sale on December 9, 2011 by Robert Paul. This entry was posted in Bedford, blog and tagged Bedford Homes for Sale on November 8, 2011 by Robert Paul. Bedford Corners by Robert Paul | Flickr – Photo Sharing! This entry was posted in Bedford, Bedford Corners NY, blog and tagged Bedford, Bedford Corners, Bedford Corners Luxury Homes, Bedford Corners NY, Bedford Corners NY Homes, Bedford Corners Real Estate, Bedford Homes for Sale, Bedford Luxury Homes, Bedford Luxury Real Estate, Bedford NY, Bedford NY Homes, Bedford NY Real Estate, Bedford Real Estate for Sale, Luxury Homes, Luxury Real Estate, Westchester, Westchester Homes, Westchester Luxury Homes, Westchester Real Estate on February 14, 2011 by Robert Paul. Want to buy Billy Joel’s Sagaponack home? Last month the piano man dropped the price on his oceanfront house on Long Island’s East End again, this time from $19.9 million to $18.5 million. It started out at $22.5 million when he first listed the property in 2009. And Joel is not alone. Across the U.S., prices last year continued to decline even in the richest neighborhoods. Sagaponack, a village with a population of only 582 (it swells during the summer), saw home values drop 14.5 percent from 2009 to 2010-yet it once again earned the No. 1 position on Businessweek.com’s ranking of the Most Expensive Small Towns in the U.S. It held on to the top spot because, despite the dip, median home values were $3,406,640, the highest in the nation, according to real estate website Zillow.com. Working with the website, Businessweek.com identified the 50 most expensive small towns (populations less than 10,000) nationwide where median home values are the highest. We evaluated data on 4,624 cities and census-designated places from November 2010, the most recent available. Some expensive communities, such as Bel Air, Calif., were not included as they are neighborhoods rather than cities or census-designated places. Of the 50 most expensive places-many of which are second-home markets-nearly half are in Long Island’s Nassau and Suffolk counties and about one-quarter are in California. None of the towns in the ranking had a median home value of less than $1 million. Values dropped in 33 of the 50 most expensive small towns. The biggest decline, 15.7 percent, came in Woodside, Calif., home to such tech billionaires as Oracle’s (ORCL) Larry Ellison and Apple’s (AAPL) Steve Jobs. Values in the second-most expensive town, Jupiter Island, Fla., were down 11.3 percent from a year ago, to just over $2.8 million, and in No. 4, Los Altos Hills, Calif., they were down 13.6 percent, to a bit more than $2.1 million. In eight of these towns (five of which are among the top 10 most expensive), values were more than 10 percent below levels of a year ago. Nationwide, home values were down 5.1 percent, Zillow.com’s data indicate. Only 17 places experienced increases in home values. The winner was Kings Point, N.Y., a wealthy suburb of New York City on Long Island’s Gold Coast, where prices rose 13.5 percent. In the Hamptons, “prices have not yet rebounded,” says Michael Schultz, vice-president in Corcoran’s East Hampton office. With prices down, he expects activity to pick up in the first quarter this year. Home to wealthy Wall Streeters, corporate executives, and celebrities, the Hamptons saw both unit sales and prices down year-on-year after rising in early 2010. The third-quarter drop in the median sale price in the Hamptons-North Fork market was due to a shift away from high-end sales-only 11 homes sold at or above $5 million in the third quarter, down from 20 sales a year earlier, according to a report by Miller Samuel, a New York real estate appraisal services firm. “Across the board, everyone brought their homes down 15 percent to 20 percent. Sellers are becoming more realistic” and buyers are more conservative, says Harald Grant, senior vice-president in Sotheby’s International Realty’s Southampton office. After a strong first half in 2010, unit sales in Sagaponack and nearby Bridgehamptonwere down 18 percent year-on-year in third quarter, and the median sale price was down 53 percent, according to a report from real estate brokerage Corcoran. Despite this short-term softness, “Sagaponack is a strong market because it has cachet,” Grant says. What makes small towns such as Sagaponack attractive is their proximity not just to natural beauty and first-class golf courses but also to other wealthy people. That’s why the most expensive small towns often cluster around major financial centers. A survey of U.S. metropolitan statistical areas by consultancy Capgemini shows that New York City had 667,200 high-net-worth individuals, or people with investable assets of $1 million or more, in 2009-far more than any other metro in the country. Other wealthy areas include the Los Angeles metro area (235,800), Chicago (198,100), Washington, D.C. (152,400), and San Francisco (138,300). Of the 50 most expensive small towns, 22 are in New York-namely, Long Island-and 13 are in California. Others were in Colorado, Florida,Massachusetts, Maryland, New Jersey, Washington.Making the ranking for the first time was even one town in Tennessee.Belle Meade (a very rich town in Tennessee). That note of hope is one that many real estate brokers and home sellers across the U.S. share. In expensive small towns like Sagaponack, however, even the battered prices might strike many Americans as wealth beyond the dreams of avarice. It’s hard for someone who lives in a house valued in the mid-six figures-or less-to empathize with sellers asking prices in the seven- or even eight-figure range. But no owner likes to take a haircut when selling his home. Just ask Billy Joel. This entry was posted in Bedford, blog and tagged Bedford, Bedford Homes for Sale, Bedford Luxury Homes, Bedford Luxury Real Estate, Bedford NY, Bedford NY Homes, Bedford NY Real Estate, Bedford Real Estate for Sale, Luxury Homes, Luxury Real Estate, Westchester, Westchester Homes, Westchester Luxury Homes, Westchester Real Estate on February 13, 2011 by Robert Paul. This entry was posted in blog and tagged Bedford, Bedford Corners, Bedford Corners Luxury Homes, Bedford Corners NY, Bedford Corners NY Homes, Bedford Corners Real Estate, Bedford Homes for Sale, Bedford Luxury Homes, Bedford Luxury Real Estate, Bedford NY, Bedford NY Homes, Bedford NY Real Estate, Bedford Real Estate for Sale, Luxury Homes, Luxury Real Estate, Westchester, Westchester Homes, Westchester Luxury Homes, Westchester Real Estate on February 13, 2011 by Robert Paul. This entry was posted in Bedford, Bedford Corners NY, Bedford Hills, blog and tagged Bedford, Bedford Homes for Sale, Bedford Luxury Homes, Bedford Luxury Real Estate, Bedford NY, Bedford NY Homes, Bedford NY Real Estate, Bedford Real Estate for Sale, Luxury Homes, Luxury Real Estate, Westchester, Westchester Homes, Westchester Luxury Homes, Westchester Real Estate on February 10, 2011 by Robert Paul.